Have you guys ever noticed how our pets struggle to stay cool in the balmy, summer heat? Let your beloved pets experience this cooling mat to Help your dog and cat stay cool all day long. A long-lasting solution to keep pets happy and healthy in warm temperatures. This cooling mat is for giving a cool retreat with the Dog Beds & Cat Beds. It is a long-lasting solution to keep them happy and healthy in warm temperatures. Working to absorb and regulate their temperature for up to three straight hours of cooling relief, it requires no water, batteries, refrigeration, or electricity—so it’s perfect for dog beds, crates, the backseat of the car, or anywhere else it would come in handy. You’ll never want to leave home without it because of the lightweight and foldable design. The Cooling fabric is a fabric without chemical polymer material, glue, crystal or phase change material. The fibers used are safe and non-irritating fibers. This fabric is light, breathable and comfortable to wear compared to ordinary moisture-proof fabrics. Pressure activated cooling keeps pets comfortable without freezing or refrigerating. Can be easily placed on the pet's favorite bed. Provides extra comfort for pets with joint pain. Lightweight and portable, suitable for indoor and outdoor use. Cooling mat keeps your pet cool and comfy that absorbs body heat. Duration depends on conditions. 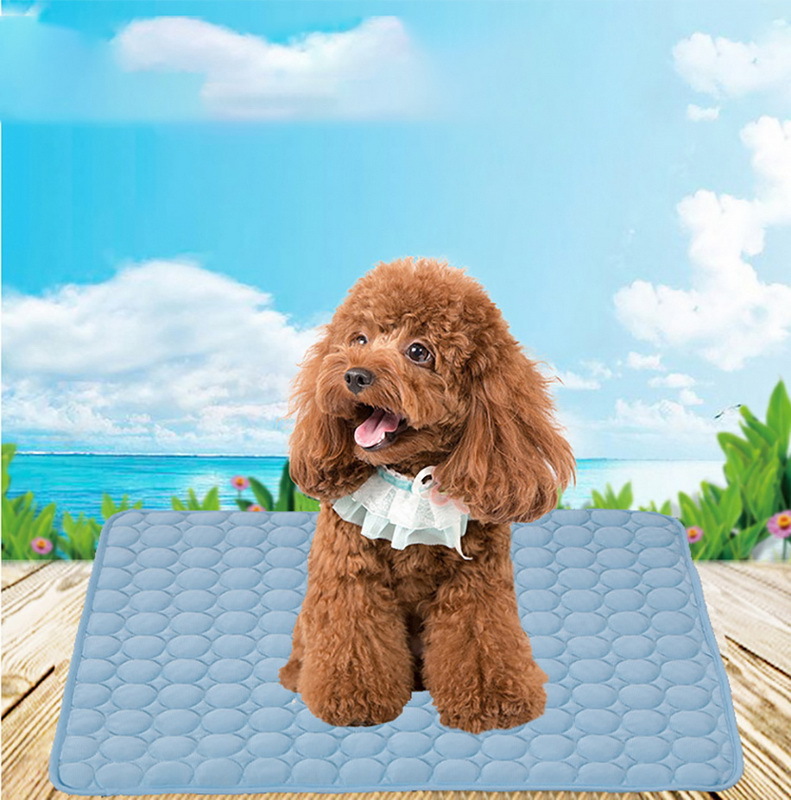 Mats for dogs preventing mosquito in summer nights and having a good sleep.